Proportional 2-Gas Nitrogen/Helium Mixer. 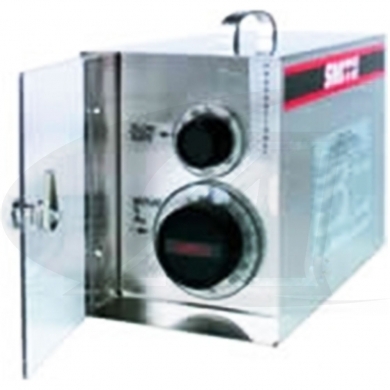 Standard Dual Scale 2-Gas Mixer Built with High-Quality Stainless Steel Case and Integral Clear Lexan Door with Mechanical Latch. Allows for Easy Access and Adjustment of Mixing Knobs.